Biking can be a family activity. Not only is it a great way to get around by cutting down the cost of gas, car maintenance and other expenses, biking is also a wonderful form of exercise. Unfortunately many new parents hang up their helmets because biking with young kids can feel overwhelming. But with the right setup and a little know how, biking can be an enjoyable and safe way for parents to shuttle kids to run errands and go to parks, preschool, and school. What’s the best age to take your tyke biking for the first time? Opinions vary, but the majority of safety experts recommend a new parent wait until a child turns one, can sit unassisted, and can safely wear a helmet. They point out that there’s little research on how the bumps and vibration inherent to cycling affect the newborn brain and neck muscles. Lawmakers generally agree. While laws vary from state to state, New York state expressly outlaws cycling with a baby under one. A number of other states and some cities require riders and passengers under the age of 16 to wear a helmet. Helmets do not fit and are not recommended for babies who can’t hold their heads up. 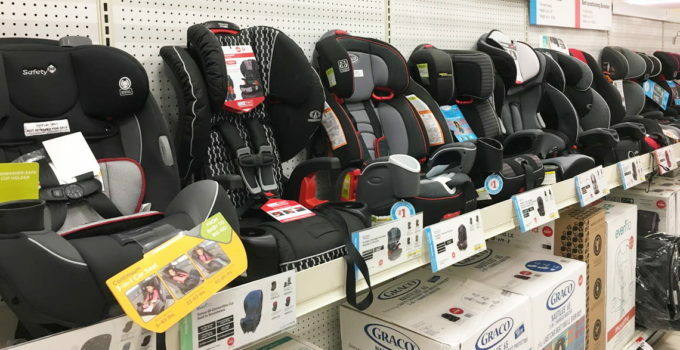 Thus newborns are effectively forbidden from bicycling, even when buckled into a car seat in a carrying device.